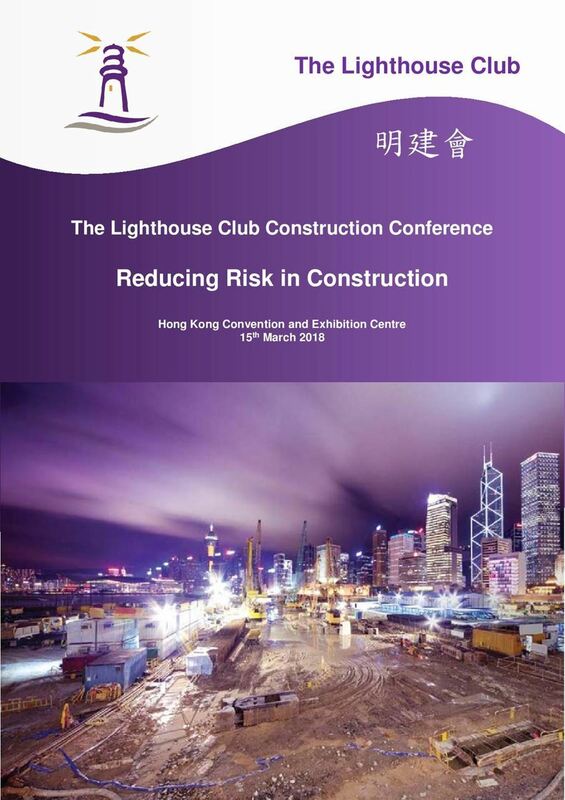 The Lighthouse Club Construction Conference , entitled: “Reducing Risk in Construction” to be held on 15 March 2018 at the Hong Kong Convention and Exhibition Centre and hope that you will support this worthwhile event. In addition to booking a place for yourself, we would appreciate it if you could help the Club by circulating the attached details to all your work colleagues and business associates. It is likely this event will be very popular so members are advised to book early to avoid disappointment as numbers are limited.